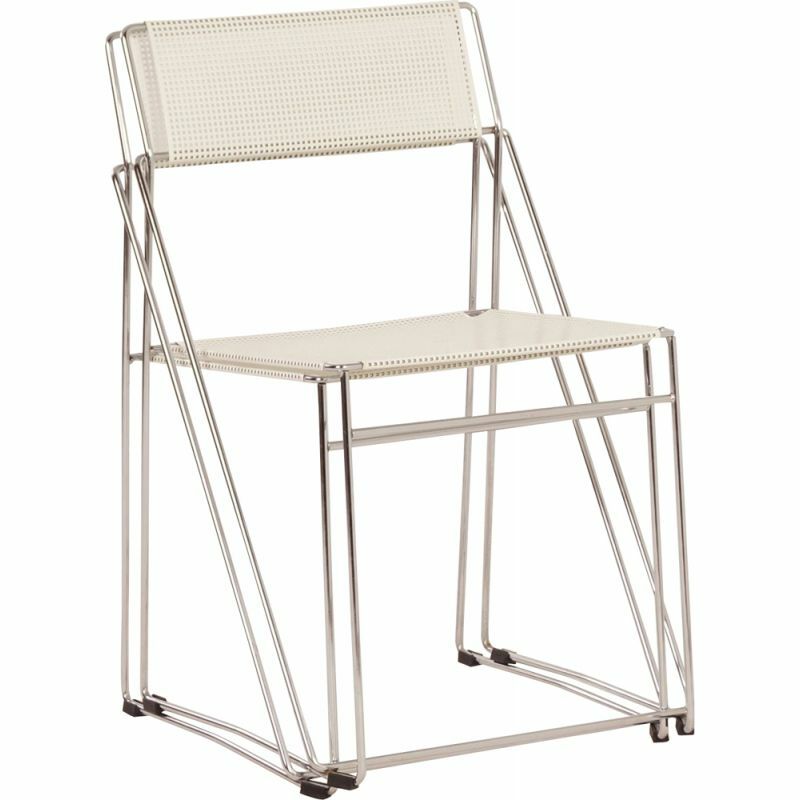 Nuova X-line stacking chairs designed by Niels Jørgen Haugesen for Hybodan A / S, Denmark in 1977. 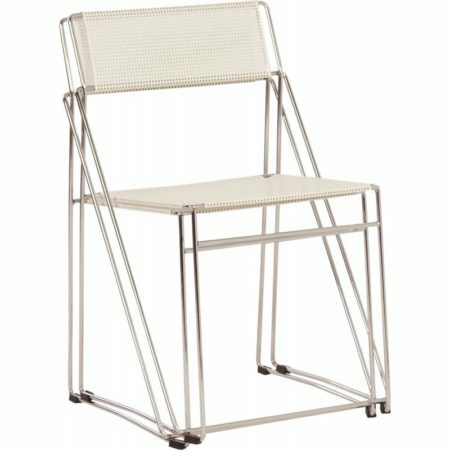 These chairs have a chromed steel frame and perforated white metal back and seat. Considering the age still in original and good condition, some normal wear and tear. The price is for the set of two.